Now that Spring is here, we are all outside more enjoying the sunny days. Being in the sun helps your body to produce Vitamin D which is beneficial. But I think everyone knows that being out in the hot sun, and risking sunburn has bad consequences for your skin. So there are times when sunscreen can help to protect your skin. 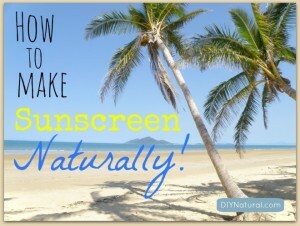 However, with most commercial products, store-bought sunscreens contain undesirable chemicals. In this post Betsy of DIYNatural shares some natural and commonsence ways to approach being in the sun during warmer weather. 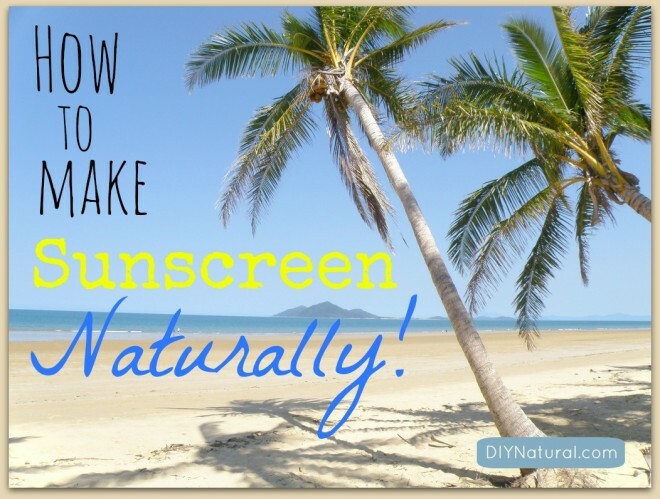 She also shares her recipe for an excellent natural sunscreen. What I REALLY like is she provides an easy way to control the SPF from SPF 2 to 20+. You don’t usually see that in homemade sunscreen recipes. The recipe uses coconut oil, Shea butter for skin protection, eucalyptus oil, lavender oil, non nan0 zinc oxide and some other ingredients. There’s a good explanation of the advantages of nan0 zinc oxide and a warning about using citrus essential oils in a sunscreen. Click below to read this very thorough article.